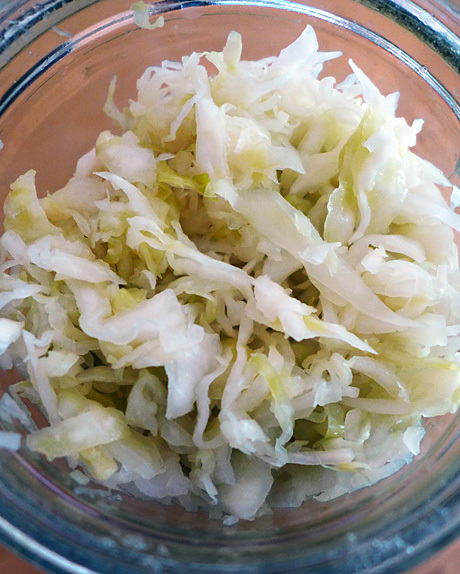 Andrea's Easy Vegan Cooking: Ate the kraut. Didn't get sick. 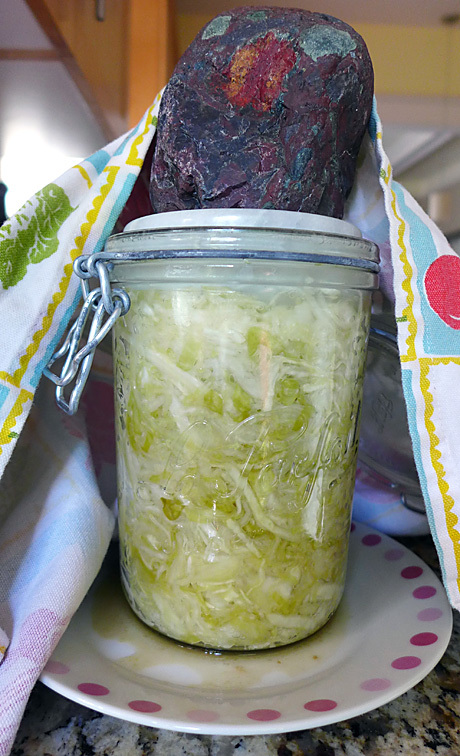 Yay for successfully making sauerkraut! time to make some Reuben sandwiches. 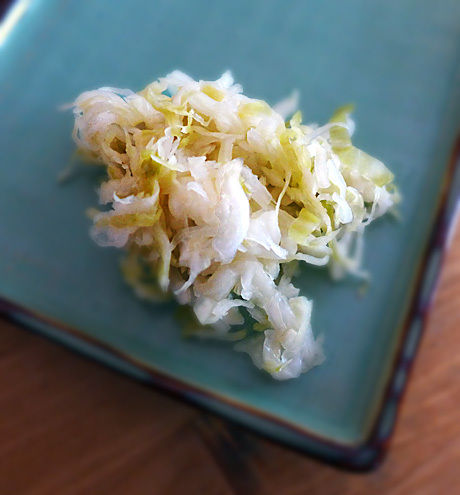 :-) Wouldn't the kraut be more sour if you just let it sit longer? Yes, it would. It might even continue to sour in the refrigerator. I like it like it is, and besides, I'm not sure my attention span would allow me to ferment it for more than two weeks! Hooray, kraut for the win! It certainly looks legit and delicious to me. It's definitely real sauerkraut, and tastes good. I'm going to make it again so I can have a constant supply. Unless my enthusiasm peters out. The good news is that you ever get bored, it couldn't be easier to switch up the favor. I love making ruby kraut with red cabbage, thinly sliced red onion, and shredded beets, for instance. My second batch had the addition of two thin slices of onion, shredded, and about an inch of fresh ginger, grated. I like the idea of making ruby kraut. I think I'll add some shredded beet to the next fermentation. I may need to buy another jar to keep up with my need to ferment! I'm really glad it turned out well, and you didn't get sick! I made some pickled garlic once, and it turned blue, but I decided to try it anyway, and live to tell the tale. You've convinced me to try and make some of my own. 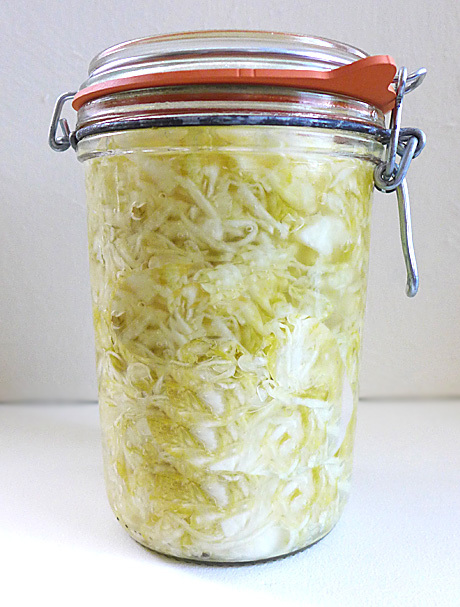 You should definitely make sauerkraut. Just be sure everything is ultra clean — wash jars and utensils in hot water — and hopefully all will go well.